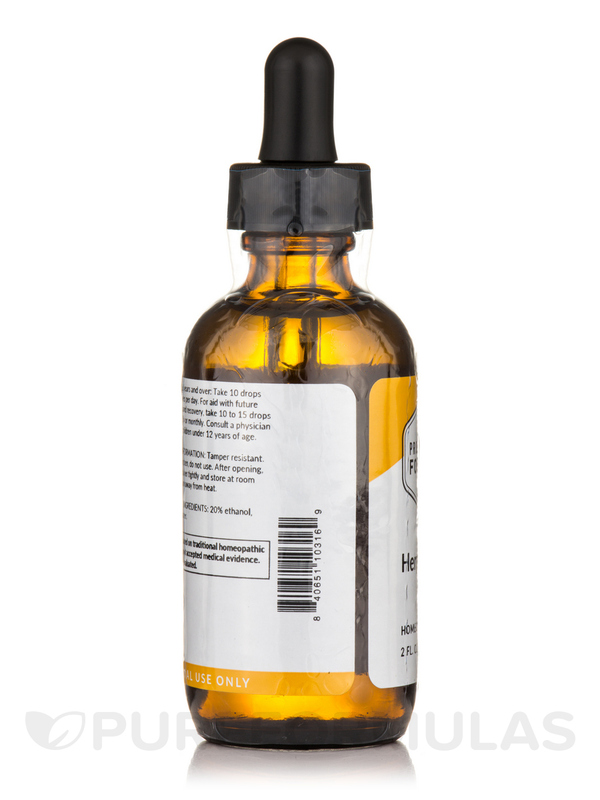 Herpectic Nosode by Professional Formulas is the only product including prescription mess that actually works. Client is having no issues since starting Herpetic Nosode by Professional Formulas. "All clear" in their words. They are very pleased. I have shingles and suffered extreme pain before using Herpetic Nosode! I noticed marked improvement after 24 hours of using the drops... Day 4 now and pain is practically gone!! Amazing! I am sold! 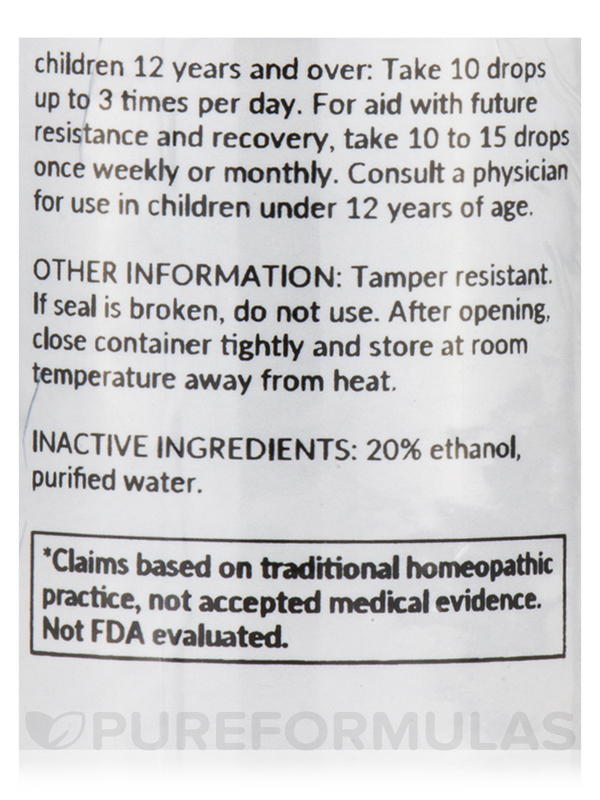 For the temporary relief of mild skin rash‚ cold sores‚ irritability‚ mild ear pain‚ vomiting‚ or diarrhea. 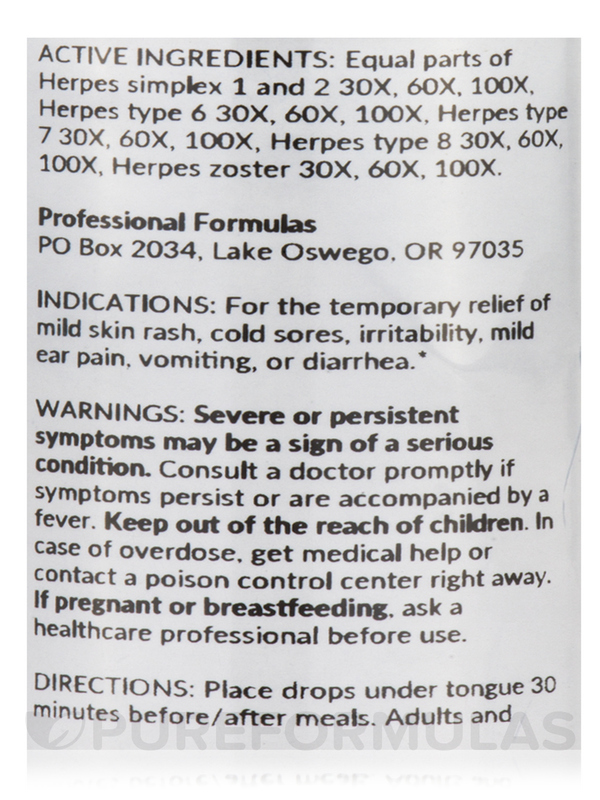 Active Ingredients: Equal parts of Herpes simplex 1 and 2 30X‚ 60X‚ 100X‚ Herpes type 6 30X‚ 60X‚ 100X‚ Herpes type 7 30X‚ 60X‚ 100X‚ Herpes type 8 30X‚ 60X‚ 100X‚ Herpes zoster 30X‚ 60X‚ 100X. Consult a doctor promptly if symptoms persist or are accompanied by a fever. I took 10 drops as a first dose. I had pain in my neck area when taking, and suddenly felt really tired. I was dizzy when waking up the next day. It quickly subsided but this was the only change in my routine. I would recommend that you go slowly to see how you react. 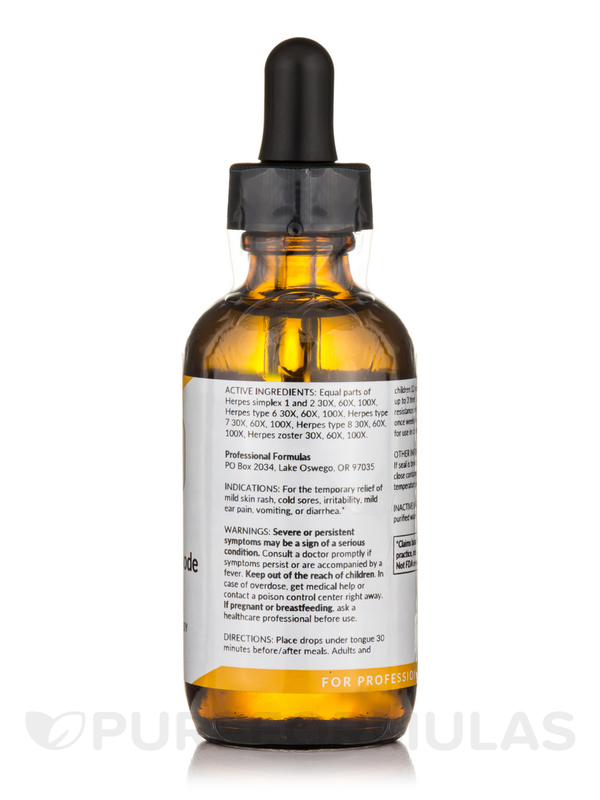 I for sure feel a difference with Herpectic Nosode by Professional Formulas. I stopped taking Acyclovir 400 mg twice a day and replaced it with Herpectic Nosode by Professional Formulas. Took 5 drops of this for 5 months and switched to 2 drops a day after that. I was putting the drops under my tongue for faster absorption. I have had no breakouts since I starting taking this which has never happened when I stopped taking acyclovir for more than a month. However for the first time, I had cold sores on my mouth when I had a fever from cold. This could be completely unrelated to Herpetic Nosode but that has never happened for as long as I had herpes and I was taking Acyclovir. I am grateful for this medicine. Use of 20% Alcohol. The source and ingredients, although listed, are not clear. I havent used this product for the full 6 months Ive been planning on but Ive had no outbreaks in the 1.5 months Ive used it as compared to getting them frequently. So far I am incredibly happy with it and will follow through with the 6 month regimen to suppress my hsv2. Taste isnt great but gladly take it to ward off pain!! 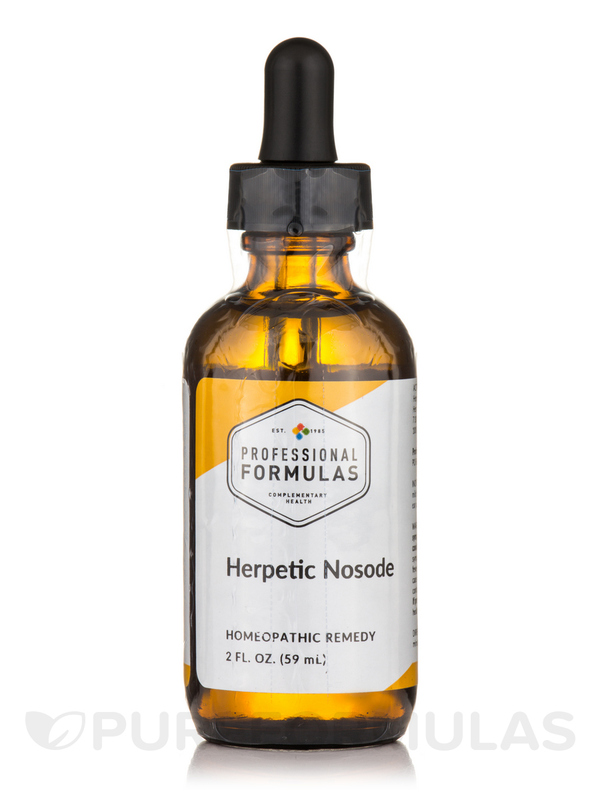 I have been using Herpetic Nosode for 3 months so far so good. Zero break-outs. Hi, Thank You for your inquiry. 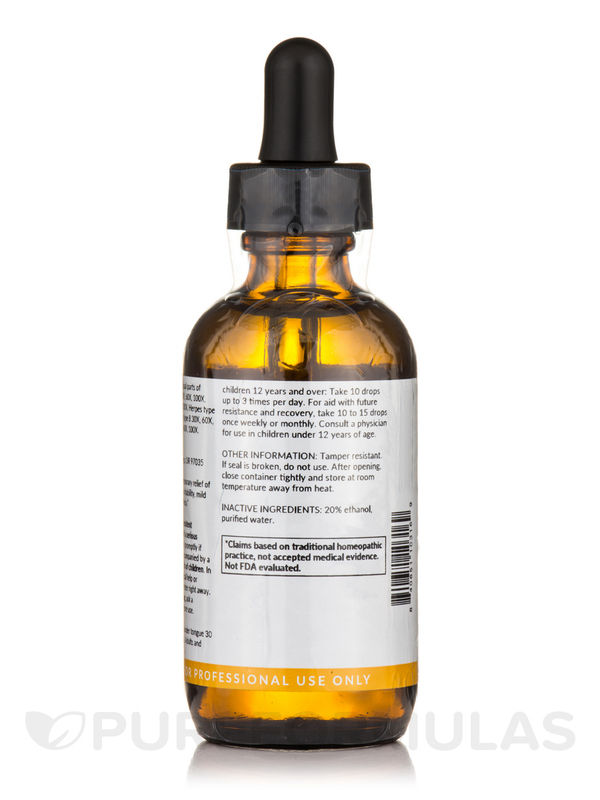 On our website, it states; Use according to standard homeopathic indications.Adults: Apply 10 drops 3 times per day under the tongue 30 minutes before meal or as directed by a healthcare professional.Children 4 to 12: One-half adult dose. Infants: Consult a healthcare professional. Have a great day!